When we compare laptops, we usually do focus on performance, battery life, and the lot. Today though, we’re going to do a different spin on our comparison. We pitted four of the most popular laptop brands in a “who has the better look and feel” contest. Yes, it’s not about benchmarks and that stuff today, but merely how the device looks, and how it feels when used. 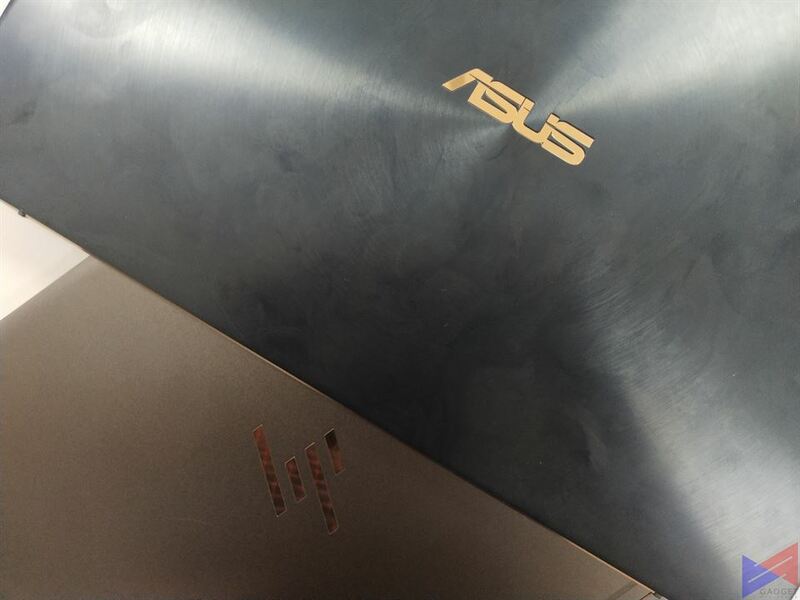 We’ll be comparing devices from four brands – ASUS, HP, Dell, and MSI. Here are the parameters that we’ll be using for this comparison. Build Quality – You’re going to pay a lot for these laptops, so you’d expect the best materials to be used. 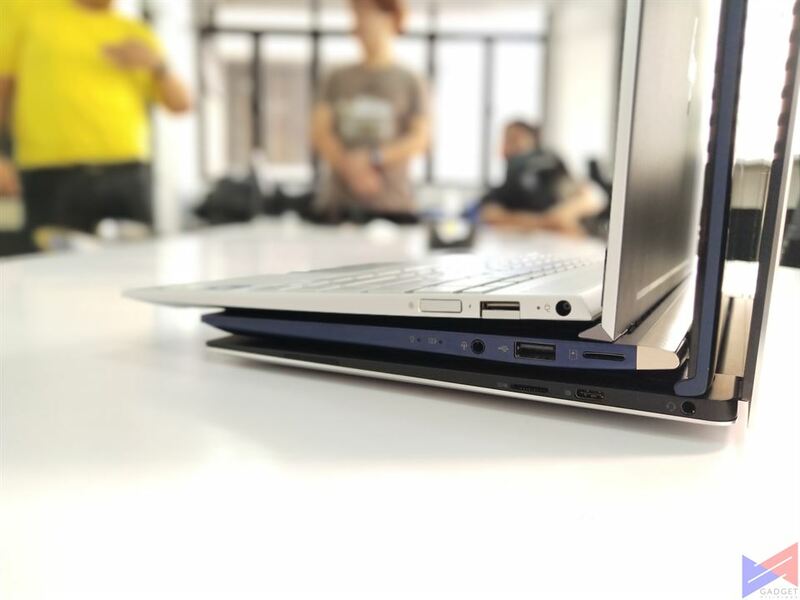 Thickness – The thinner a laptop is, the less space it will take on your bag. Weight – The less a laptop weighs, the easier it is for you to carry around. Display – The more room you have for content, the better. Ports – The more devices you can connect to your laptop, the better, right? Overall Look – Considering everything, which laptop catches our eye the most? For the first round, we have three of the most compact productivity machines that are currently in the market. 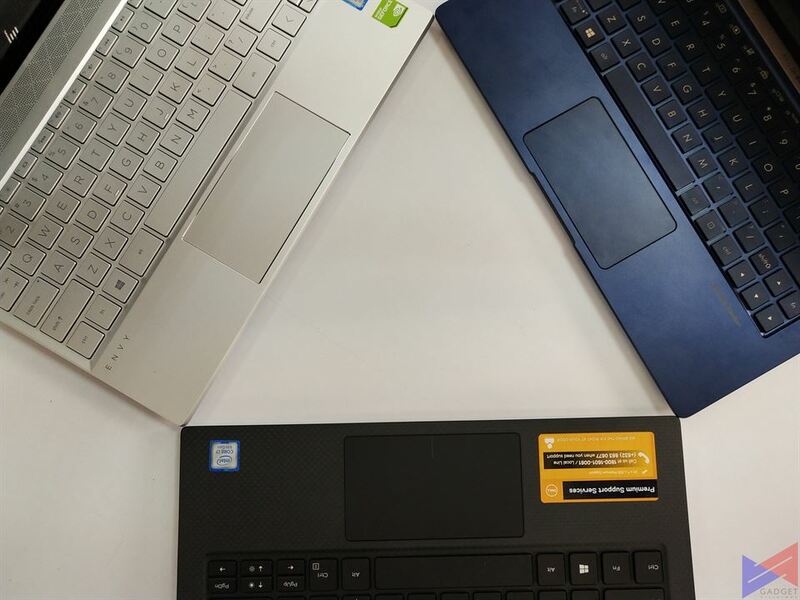 The newly launched ASUS ZenBook 13, the HP Envy 13, and the Dell XPS 13. Thankfully the covers on all three laptops feel sturdy and are made of metal. 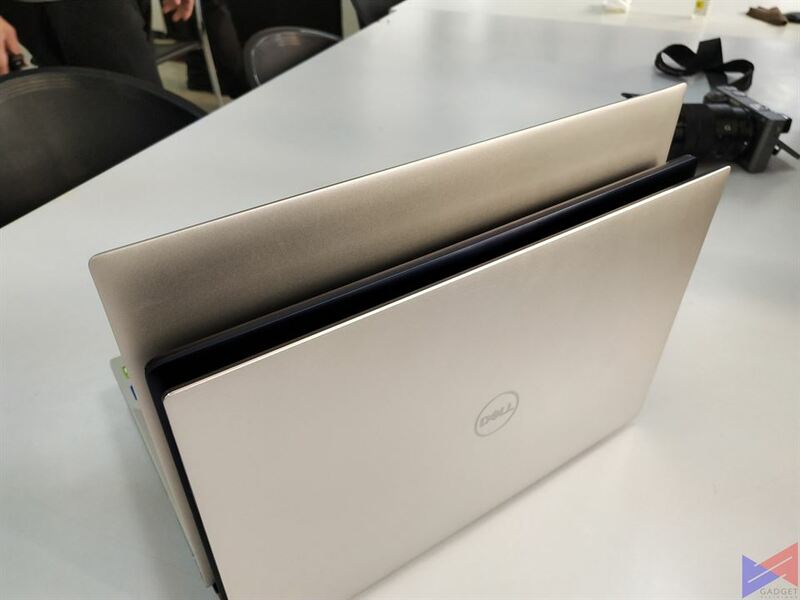 The ZenBook 13’s cover does seem to be quite a smudge magnet, so you may want to bring your microfiber cloth, if you’re that particular. Putting the three on top of each other, it’s pretty obvious that the XPS 13 wins without even looking at the numbers. For second place, it’s a close fight, but I’d go with the ZenBook 13. 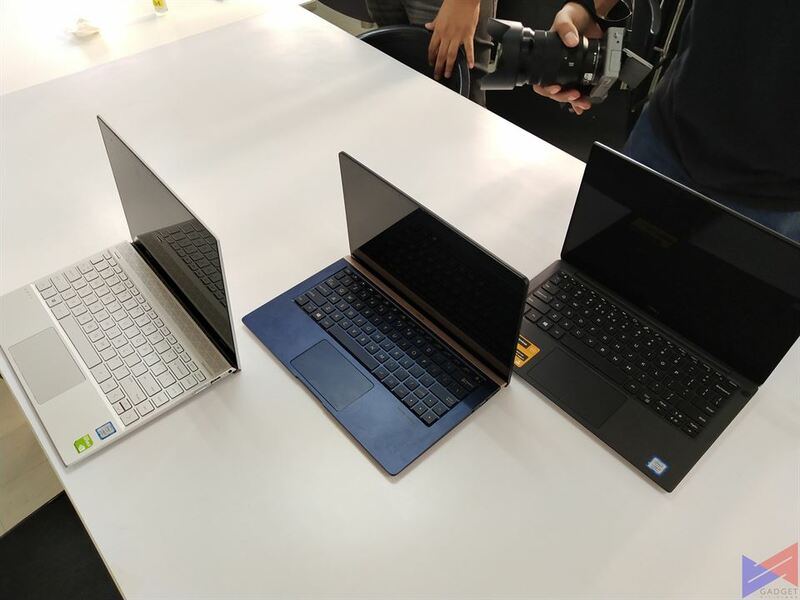 On paper, the ZenBook 13 weighs 2.5lbs, the Envy 13 is slightly heavier at 2.71lbs, and the XPS 13 comes in at almost the same weight (2.7lbs). 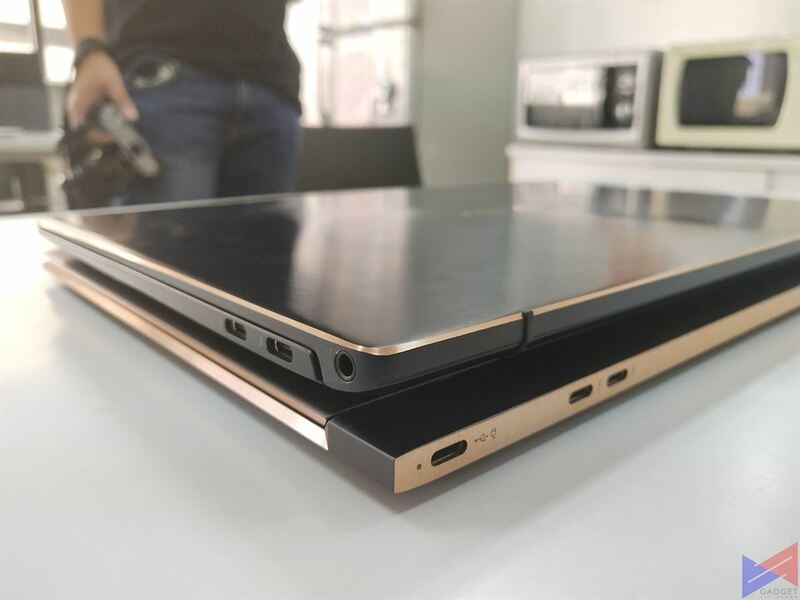 Obviously, the ZenBook 13 is the easiest to carry around. All three are equipped with 13.3-inch displays. The ZenBook 13’s screen has FHD resolution, the XPS 13 has WQXGA+ (3200 x 1800) and the Envy 13 can even go up to 4K resolution (3840 x 2160). 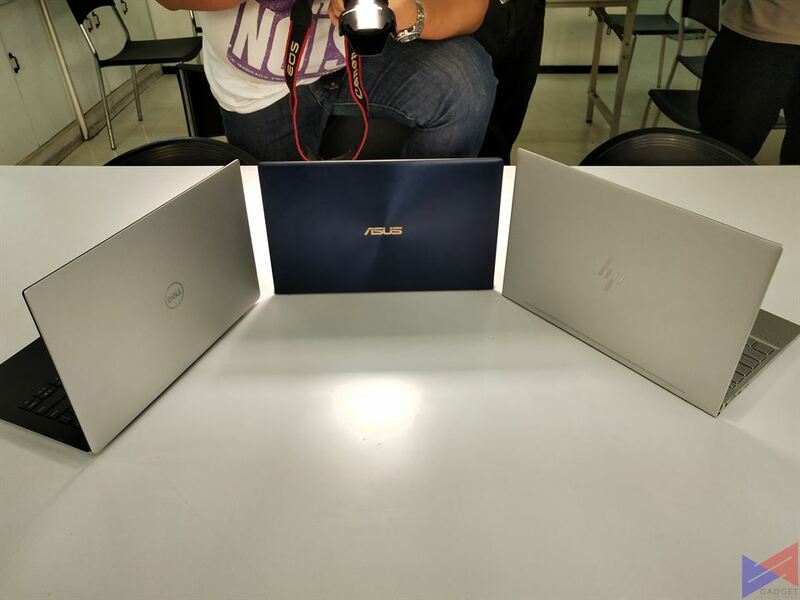 Both the XPS and Envy have their front cameras placed at the bottom, while the ZenBook, with its NanoEdge technology that utilizes thinner bezels, still has its front camera placed at the usual spot. I’d put the ZenBook in second place for innovation, but the Envy wins for flexibility. 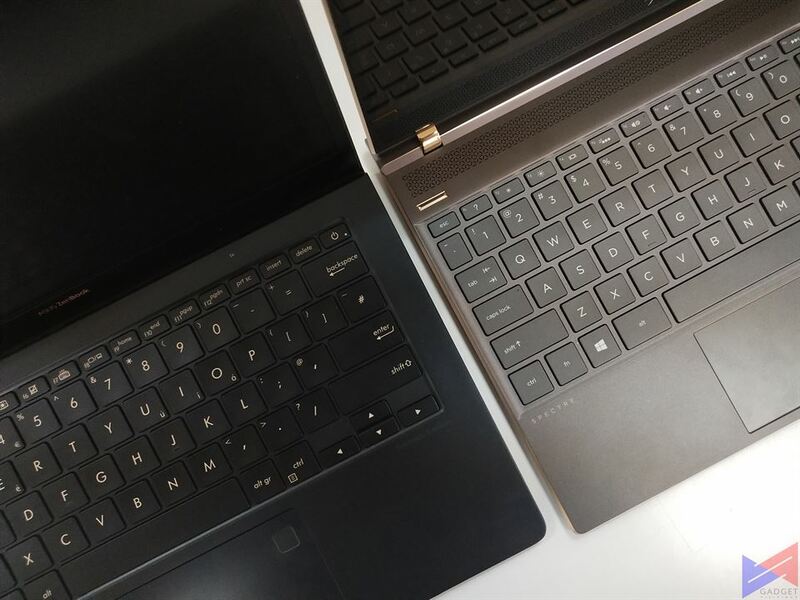 The ZenBook 13’s keyboard does have a smaller footprint compared to the two. As such, typing on it can feel a bit awkward, especially if you have big hands like me. Despite the lack of USB 3.1 ports, the XPS 13 has Thunderbolt 3, which means you can use it with an external GPU for added graphics processing horsepower. I’d put it in second place though, as the ZenBook 13 can accommodate more devices, and has a dedicated HDMI port, which means you don’t need to use any dongles. If these three were in a store, lineup up in a table, and priced the same? I’d pick the Dell XPS 13, as it’s the thinnest of the three, and also supports an external GPU. It also sports a generally clean and simple look, which I personally prefer. For the second round. 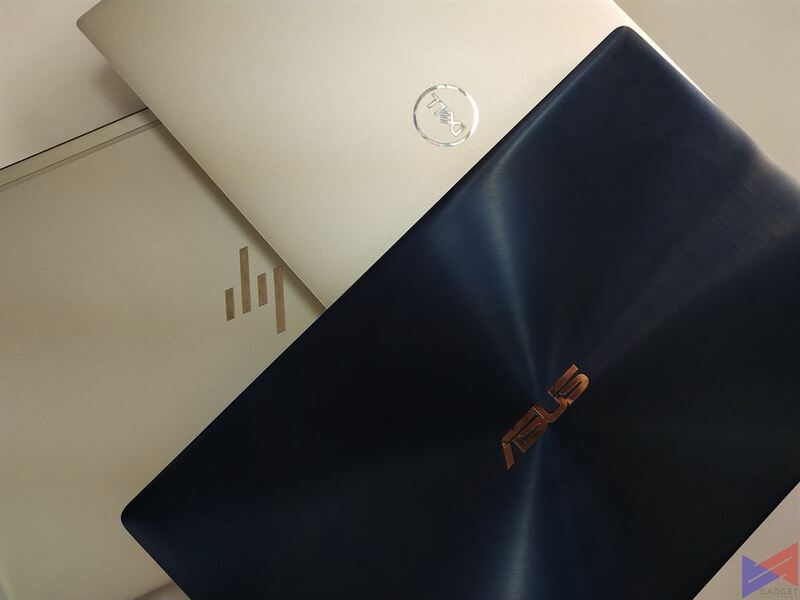 We have two of the more premium models – the newly launched ZenBook S, and the HP Spectre. 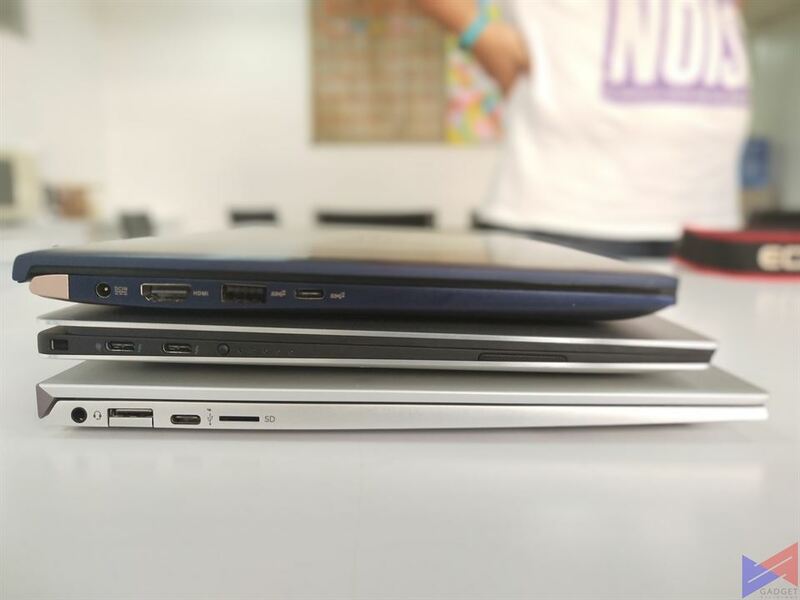 It’s a battle of the ultra-thin notebooks. From the get go, both laptops exhibit a premium feel. The Spectre with its matte finish, and the ZenBook S’ fingerpint magnet lid. 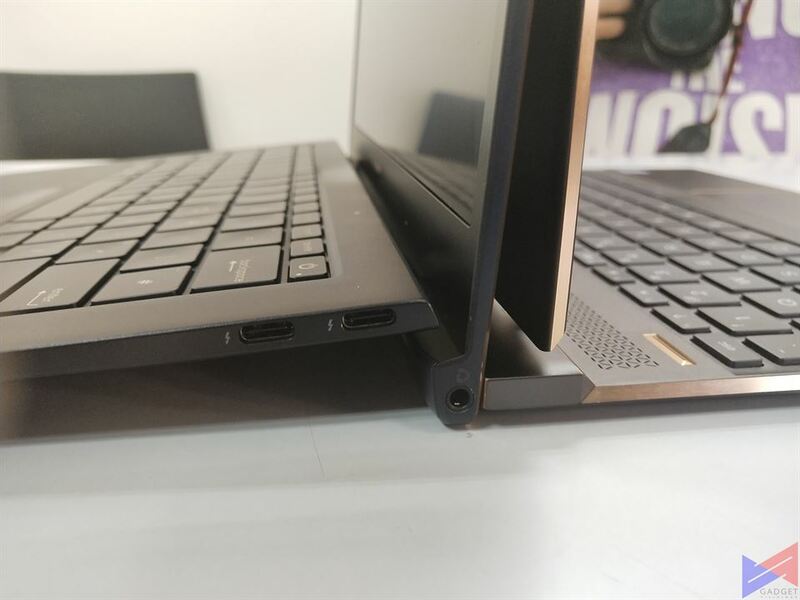 Without even looking at the actual figures, it’s pretty clear that the HP Spectre is a lot more thinner than the ZenBook S. To be exact, it’s 1.29cm for the ZenBook S and 1.04cm for the Spectre. The ZenBook S is the one that’s easier to pick up and carry, as it weighs slightly less at 2.20lbs vs the Spectre’s 2.43lbs. I do doubt you’ll feel it though. Both machines are pretty even in the display department. 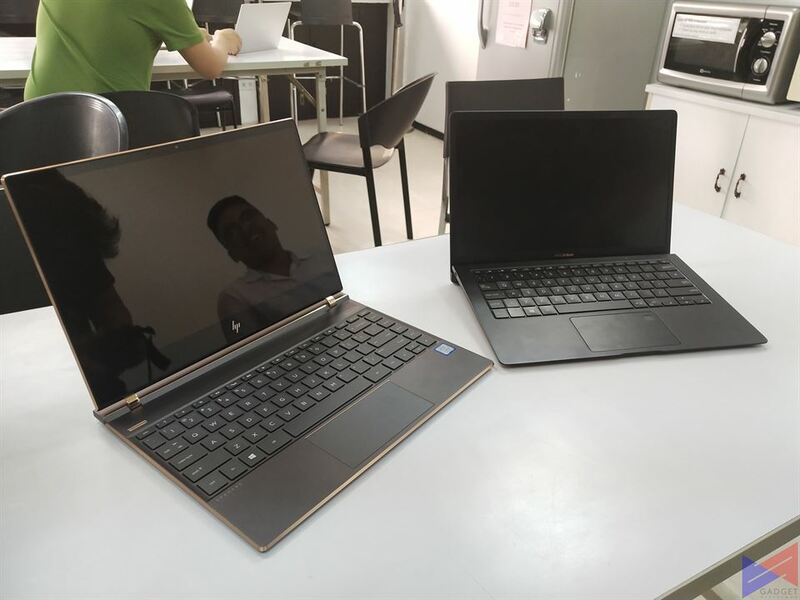 Both the Spectre and the ZenBook S sport 13.3″ screens, with up to 4K resolution. Both also utilize extremely thin bezels to give you more room for content. While I appreciate the small footprint on the Spectre, I still prefer the ErgoLift hinge of the ZenBook S, which slightly raises the keyboard to offer a more natural typing feel. Both the ZenBook S and Spectre support Thunderbolt 3, which means you can beef their graphics processing prowess with an external graphics card. The only slight advantage of the former is that it has a dedicated card reader, which means you don’t need to buy a third party reader for your productivity work. 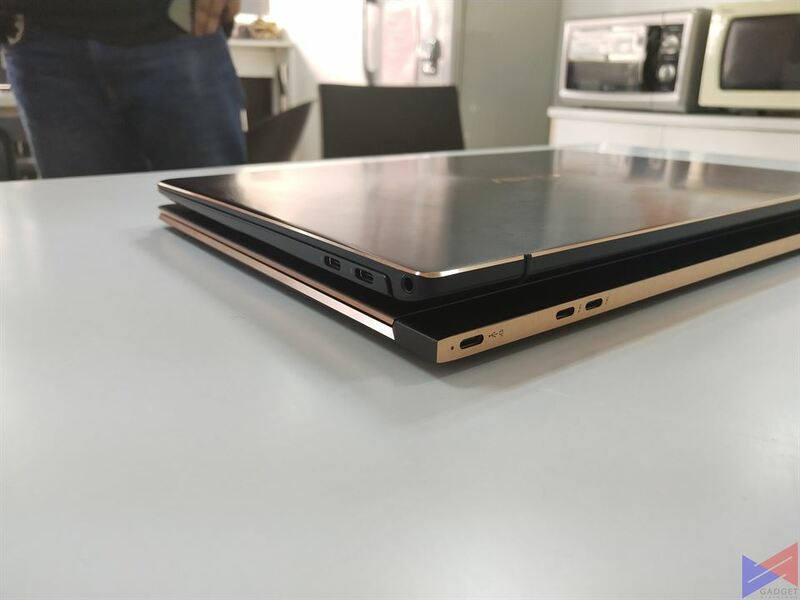 While the HP Spectre does seem to boast a more premium look, I’d pick the ZenBook S, if both were at the same price. It’s easier to carry around, and offers a better typing experience. And yes, the absence of a card reader doesn’t bother me at all. And now we’ve come to the finale. 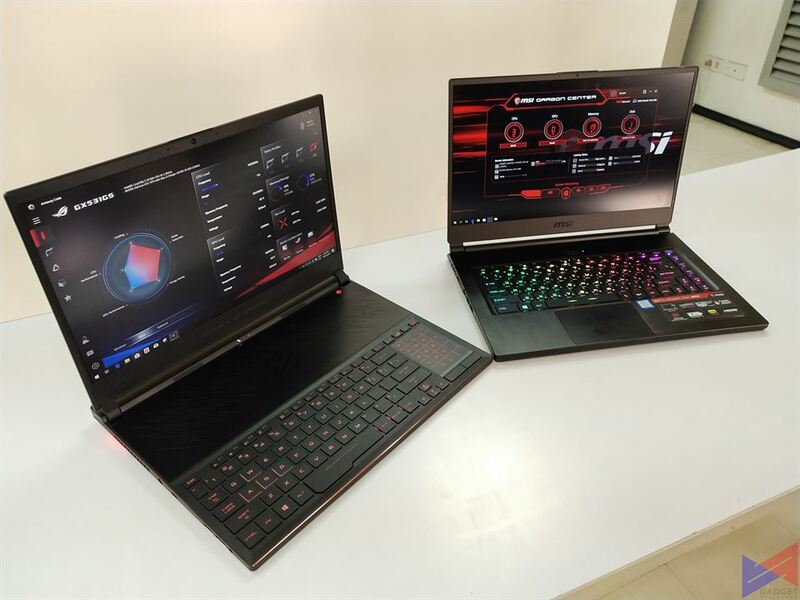 A battle between the gaming laptops from two of the most popular brands. 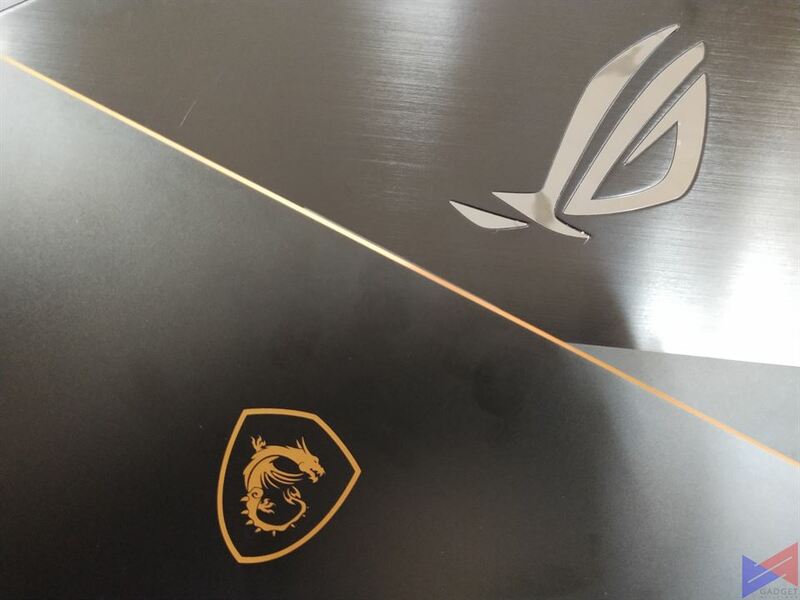 ASUS and MSI. 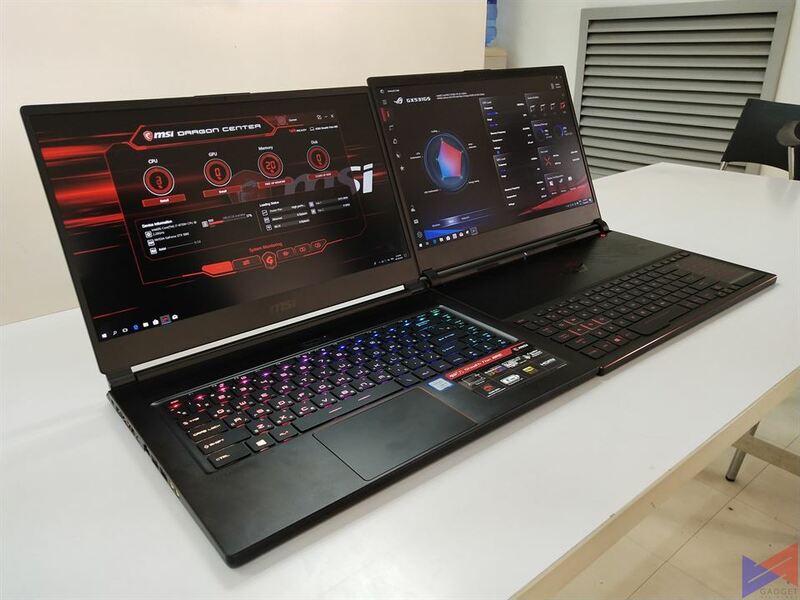 We have the newly launched ROG Zephyrus S, which is touted as the slimmest gaming laptop in the world, and the MSI GS65 Stealth, which sports a more simple look, but is just as deadly on the inside. 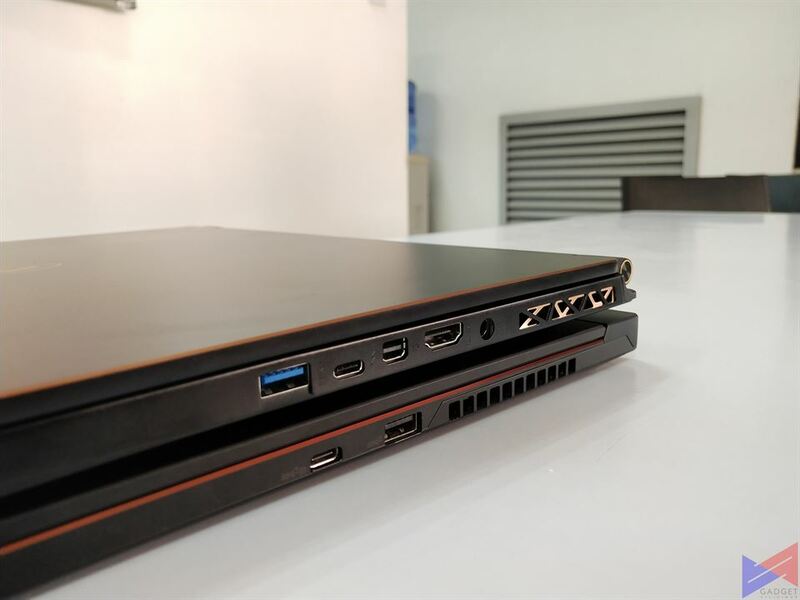 At first glance and just by merely touching them, it’s quite evident that both the Zephyrus S and the GS65 Stealth are made of premium materials. 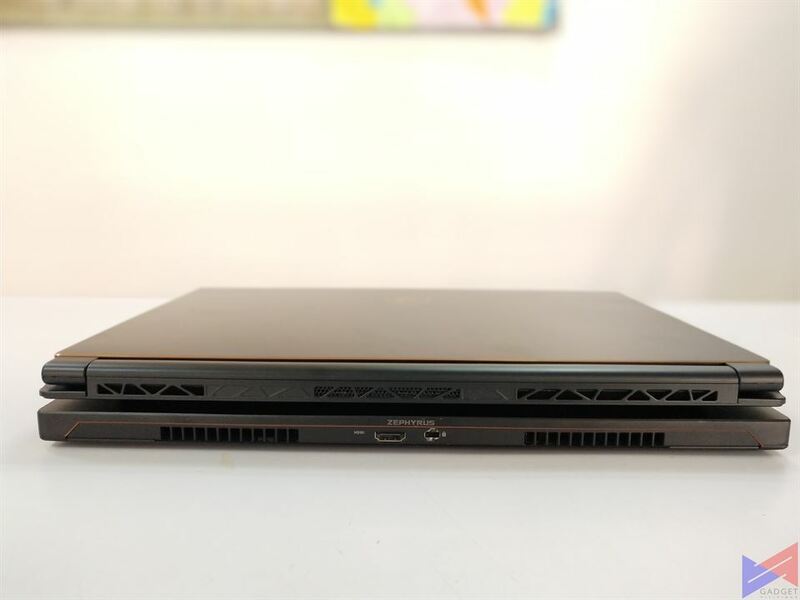 Just like the original Zephyrus, the Zephyrus S is equipped with the Active Aerodynamic System, a unique approach to cooling that slightly raises the back of the laptop to open an intake that allows for better airflow. As innovative as that looks, it does involve more moving parts as compared to the GS65’s standard form factor. Zephyrus S is only 14.95mm thin, compared to the GS65, which is at 17.9mm thin. 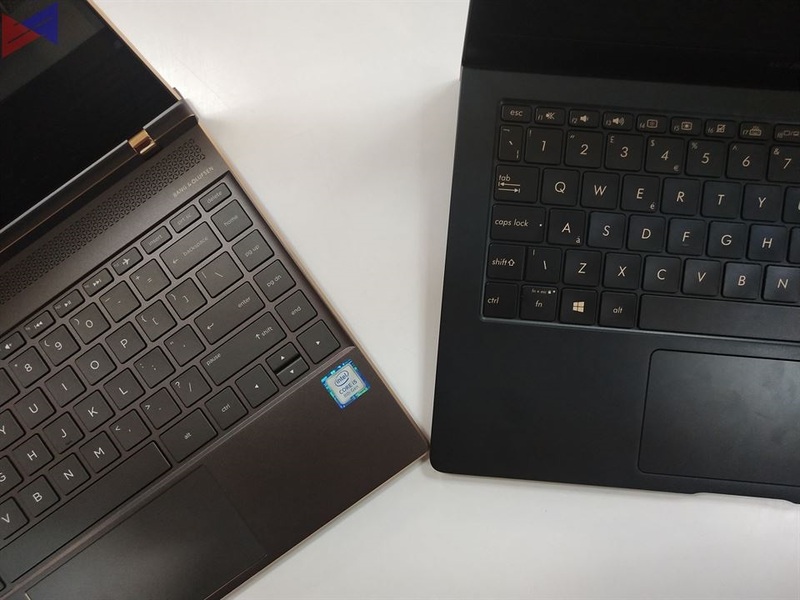 The GS65 Stealth comes right back with a punch though, as it’s lighter than the Zephyrus S at 4.63lbs, while the GS65 is at 4.14lbs. Again, you probably wouldn’t feel that small of a difference. Both laptops feature 15.6″ displays with FHD resolution and 144Hz refresh rate. 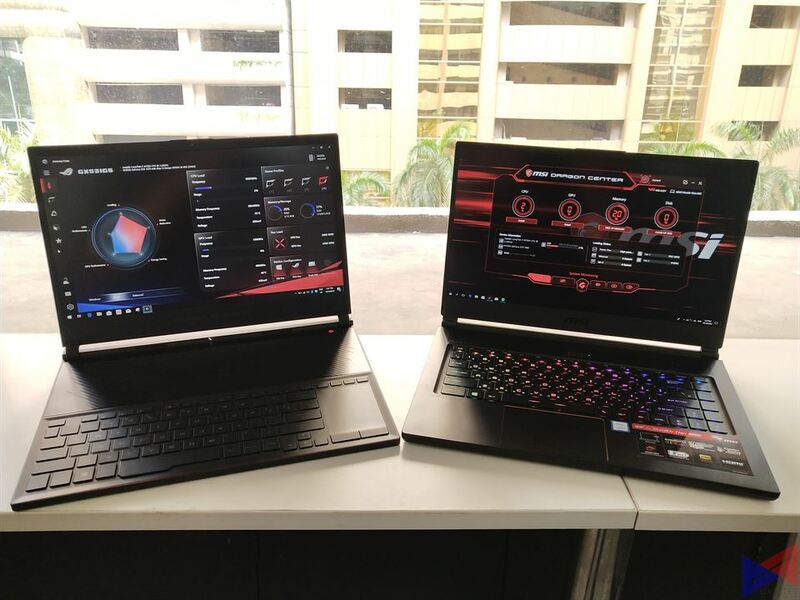 The difference is that the one on the Zephyrus S has 3ms of response time compared to 7ms on the GS65. A slight advantage, but based on experience, you’ll need a good eye to be able to tell the difference. 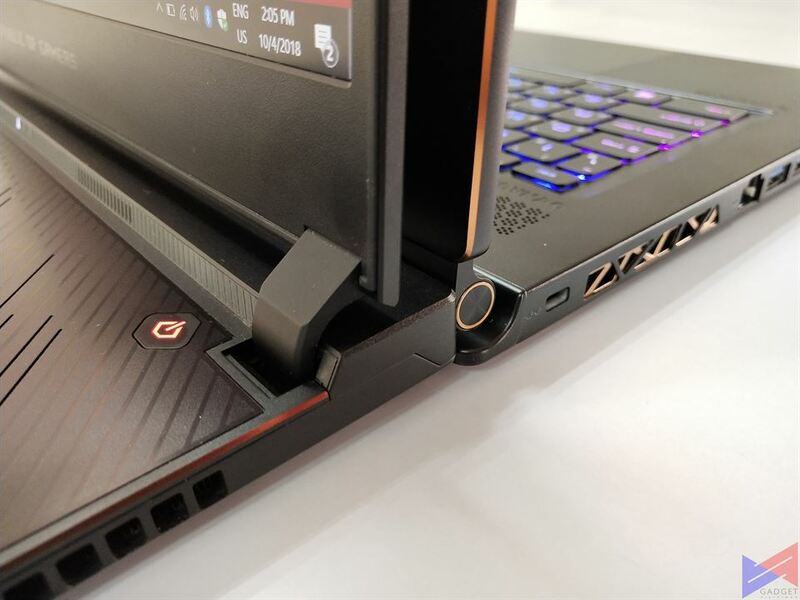 While the GS65 uses pretty much what you’d find in most laptops of its class, the Zephyrus S takes it a notch further by placing it at the bottom section. Like the original, the touchpad can be converted into a numpad. The only drawback with this layout is that there’s little to no room for your wrists, which means typing can be a bit awkward at times. One thing I also noticed is that the RGB lighting in the GS65’s keyboard is much brighter and emphasized than on the Zephyrus S.
As far as ports are concerned, the GS65 gives you three USB 3.1 Type-A ports, while the Zephyrus S still offers USB 2.0 ports. Both can be connected to an external display via their dedicated HDMI ports, or via the Zephyrus S’ Type-C port, which also acts as a DisplayPort. It’s a very close contest – one redefines design, and the other sticks to a more traditional approach. I’d say for the innovation that it brings to the table, and for a more striking look that reflects the brand’s vibe, I’d pick the Zephyrus S.
Huawei Announces its Grand Christmas Promos!